A lot of things are different on the iPhone X compared to previous iPhone models mainly because Apple has come up with a unique design that removed the home button. However, the iPhone X notch is not just visually annoying for some people. It also prevents us from viewing the battery percentage in the status bar. On previous iPhones, you could go to Settings -> Battery and enable the “Battery Percentage” option. While this option is no longer available, it’s still possible to view the battery percentage on your iPhone X. The iPhone X doesn’t have an option that lets us enable the battery percentage indicator in the status bar and sadly, there’s no way we can have it displayed there all the time. However, we can view it in the Control Center panel. To bring up the Control Center, simply swipe down from the top-right corner. This will display the battery percentage. 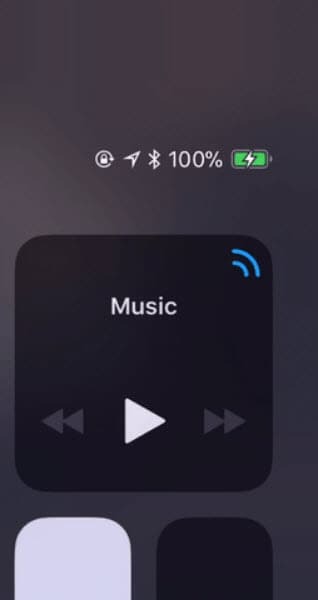 If you don’t need to use the Control Center and you simply want to take a peek at the battery percentage you can swipe down to see it and then quickly swipe back up without lifting the finger – no need to wait for the controls to be displayed. It’s also worth mentioning this works in landscape mode as well. While it’s possible to hide the iPhone X notch, that’s just a wallpaper trick – it won’t magically free up that used space which means the iPhone X will continue to have little status bar real estate. 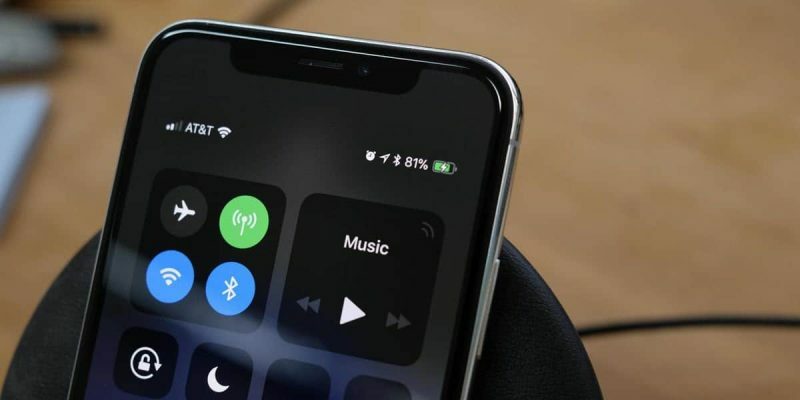 Perhaps Apple will consider a different design for future iPhone models that will solve this problem, but for the iPhone X, we’ll have to settle for peeking at the battery percentage in the Control Center.